Samsung is undoubtedly one of the most recognized smartphone makers in the world, often synonymous with “Android” in emerging markets. While the company continues to rule the roost in the flagship segment, it has lost ground to the likes of Xiaomi, Realme, Honor, and other Chinese OEMs in the affordable category in India. Samsung is hoping to get back a piece of the market share pie in this segment with the just unveiled Samsung Galaxy M series. The new inexpensive smartphones tick all the right boxes on paper, but how does it fare in this highly competitive market? We find out as we take a quick look the Samsung Galaxy M vs the competition! The entry-level Samsung Galaxy M10 finds itself in competition with the likes of the Xiaomi Redmi 6 and the Realme C1. The Galaxy M10 slots nicely into the current range of entry-level smartphones that are available in India. 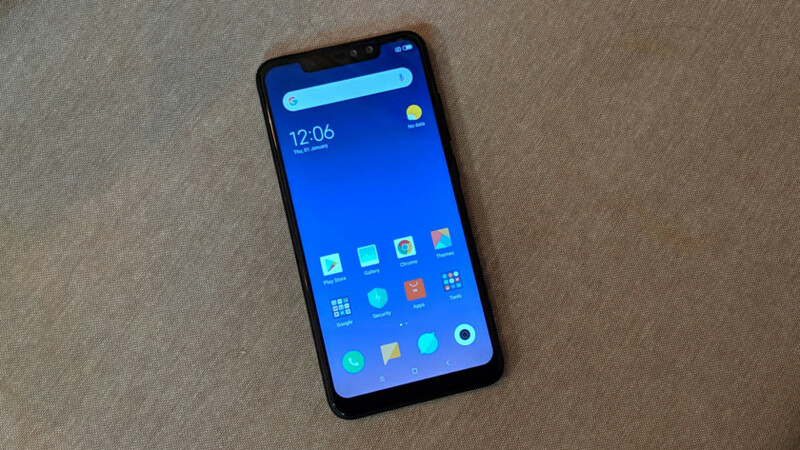 Like the Realme C1 and the Xiaomi Redmi 6, you get a 720p display with the M10. The Galaxy M10 and Realme C1 both come with larger, notched displays, while the Redmi 6 sticks to a traditional design and a smaller screen. The waterdrop notch seems to be the better design choice, but that depends on which design you like more. The specs of all three phones stay true to their entry-level nature. You get 2GB or 3GB of RAM and 16GB or 32GB of built-in storage with both the Galaxy M10 and the Realme C1. Breaking the norm once again is the Xiaomi Redmi 6, with 3GB of RAM the only option and storage of 32GB or 64GB. If storage is a concern, all three phones offer expandable storage capabilities via microSD card. You get dual rear camera setups with all three smartphones. Despite falling in the ultra-affordable range, the cameras perform quite well, beyond what their price points would suggest. You aren’t going to get mind-blowing photos with any of them of course, but a good shot in well-lit conditions is certainly a possibility. The 13MP primary camera of the Galaxy M10 does have an f/1.9 aperture though, so you can expect better low-light performance from it. The secondary camera is of the ultra-wide angle lens variety, which is rare to see with an entry-level phone. All three also come with 5MP front-facing cameras that feature Face Unlock capabilities. Speaking of Face Unlock, both Samsung and Realme are banking on it being the go-to method for smartphone security, with the M10 and C1 not coming with fingerprint sensors. While still Face Unlock-capable, the Redmi 6 has a fingerprint scanner as well. The fingerprint scanner is considered the more secure option of the two, so it’s disappointing to see Samsung and Realme leave it out. All three phones are running software packages based on Android 8.1 Oreo. A lot of entry-level smartphones tend to run older versions of Android so this isn’t particularly surprising. However, it’s disappointing to see Samsung follow suit with a 2019 release. The Galaxy M10 had a great opportunity to stand out from the competition by featuring the latest version of Android on board, but at the very least, it’s not out of place either. The battery department is where the Realme C1 gets a leg up with its large 4,230mAh battery, while the Galaxy M10 and the Redmi 6 come with 3,400mAh and 3,000mAh batteries respectively. Of course, battery life depends on more factors than just the capacity, so it’ll be interesting to see how the latest Samsung smartphone fares in battery life tests. All three smartphones have something different to offer, depending on what you’re looking for. The Galaxy M10 seems to be the best option for mobile photography, at least on paper. The higher-end version of the Redmi 6 offers 64GB of built-in storage, and even the low-end iteration gives you 3GB of RAM, more than what is available with low-end versions of the M10 and the C1. The Redmi 6 also includes the more secure fingerprint scanner, but comes with the smallest display and battery of the lot. All three phones are priced similarly as well, making it that much harder to choose between them. All three are great options in the ultra-affordable category, and Samsung’s entry is certainly going to give this segment the boost that it needs. Like its entry-level sibling, the Galaxy M20 faces competition from Realme and Xiaomi, with Asus and Honor joining the fray as well. As you can see, things get a lot closer in this extremely competitive segment. The display sizes and resolutions are practically identical, and while it’s now notch central in this price range, every notch is different. You get a large notch with the Redmi Note 6 Pro and the Zenfone Max Pro M2 and while this makes sense with the former, given its dual front-facing camera setup, it’s definitely a mere design choice for the latter. On the other hand, the Galaxy M20, the Realme 2 Pro, and the Honor 10 Lite all utilize the more minimalistic, and arguably the better looking, waterdrop or “V” notch. As far as performance goes, the Galaxy M20 utilizes the new octa-core Exynos 7904 processor and the Honor 10 Lite comes with an in-house Kirin 710 processing package as well. You’ll get the new Snapdragon 660 with the Asus and the Realme devices, while the Redmi Note 6 Pro retains the Snapdragon 636 that found with its predecessor. More detailed testing is required, but there shouldn’t be too much of a discrepancy in real-world performance with any of these phones. How much RAM and storage you get is based on your budget. All five smartphones have 4GB of RAM and 64GB of built-in storage variants that are priced similarly at 12,999 rupees or 13,999 rupees. The Galaxy M20 has a cheaper version though with 3GB of RAM and 32GB of storage. On the other hand, the Redmi Note 6 Pro, the Zenfone Max Pro M2, and the Realme 2 Pro all have 6GB of RAM variants as well. The Realme 2 Pro takes things one step further with its 8GB of RAM and 128GB of storage version, which is still priced at a relatively affordable 17,999 rupees. In the sub-15,000 rupees category, it’s quite difficult to distinguish between these smartphones, so let’s take a look at features that make them stand out from each other, starting with the cameras. You get dual rear camera setups across the board, with the secondary camera in most cases serving as a depth sensor. However, the Galaxy M20 comes with a secondary ultra-wide angle lens that allows you to get more into the shot, and is a first for this price range. The Samsung phone loses out to the rest in the front-facing camera department though, at least on paper, while the Xiaomi device ends up being the best of the lot with its dual front-facing cameras. All said and done, these phones are all capable of taking some excellent photos, which is quite impressive given how affordable they are. On the software side, you get Android 8.1 Oreo with most of these phones, except for the Honor 10 Lite that runs Android 9.0 Pie. While the Xiaomi, Realme, and Asus devices may be excused since they mid to late-2018 releases, it feels like Samsung has dropped the ball with its latest 2019 release. The Galaxy M20 had a great opportunity to stand out in a crowd where it’s harder and harder to find any separation between phones. It will get the Android 9.0 Pie update later this year, but we’ll probably be talking about Android Q by then. Speaking of older features, it’s also a touch surprising that most of these phones come with micro USB ports. This is where the Samsung Galaxy M20 gets a leg up with its USB-C port that also brings with it fast charging capabilities. And that brings is to the battery. The Galaxy M20 and the Zenfone Max Pro M2 come with large 5,000mAh batteries and the promise of excellent battery life. The Redmi Note 6 Pro packs a 4,000mAh unit under the hood, and the Realme 2 Pro and the Honor 10 Lite aren’t that far behind with their 3,500mAh and 3,400mAh respective batteries. Granted, battery life depends on a lot of factors beyond just the capacity, but if it’s important for you, the Samsung and Asus devices are more primed to deliver on that front. By looking at just the spec sheet, it seems to be a toss-up between all five smartphones in the sub-15,000 rupees category, with only the finer details that may swing the choice for you. The Redmi Note 6 Pro takes the lead in the camera department because of its dual front-facing setup, but the others aren’t slouches either. The Honor 10 Lite is the way to go if you want the latest version of Android, but it also has the smallest battery of the lot. The Galaxy M20 and Zenfone Max Pro M2 are primed to offer the most impressive battery life, with the former offering fast charging as well. However, if you want anything more than 4GB of RAM or 64GB of storage, you’ll have to look to the Xiaomi, Asus, Honor, and Realme phones. The segments that the Galaxy M10 and the Galaxy M20 have jumped into are extremely competitive in India and it’s been a long time since Samsung has had worthy contenders in this price range. However, despite losing a lot of ground to Xiaomi and Honor and newer entrants like Realme and Asus, it’s safe to say that Samsung is back with a bang. If there’s one thing that Samsung continues to enjoy, it’s brand recognition. Even when its affordable smartphones were not up to the mark, certain consumers still preferred buying a Samsung phone because it was the “safe” choice. With Samsung now taking an active interest in this segment and introducing devices that are truly worth consideration, it’s only going to push the market to newer and greater heights, which, if nothing else, is great for us, the consumers.